FEEL FREE FASHION: Nasty Gal x MINKPINK! 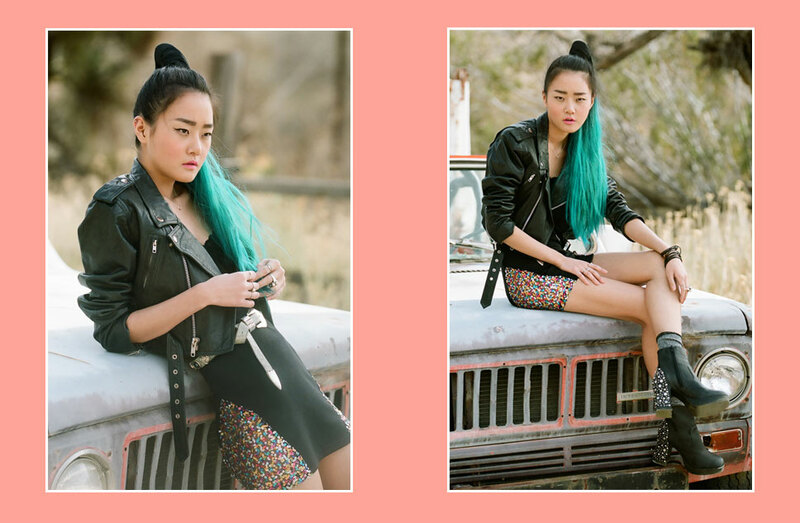 Model Hyoni Kang rocks it in the Nasty Gal and Minkpink collaboration that debuted this past Monday. Kang wore neon dresses, animal prints, and a flowing tutu inspired green skirt. Her hair was dyed bold colors, such as pink, green and turquoise. Color blocking, prints and neon are huge for spring. Take a look at the collection on Nasty Gal's website, it's fab.